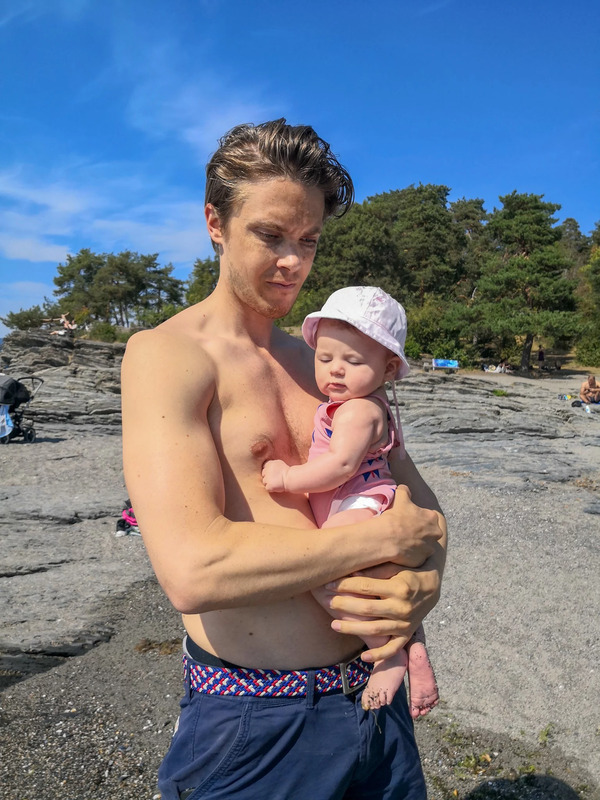 On Friday we went to the beach in Oslo for the first time with our little girl. 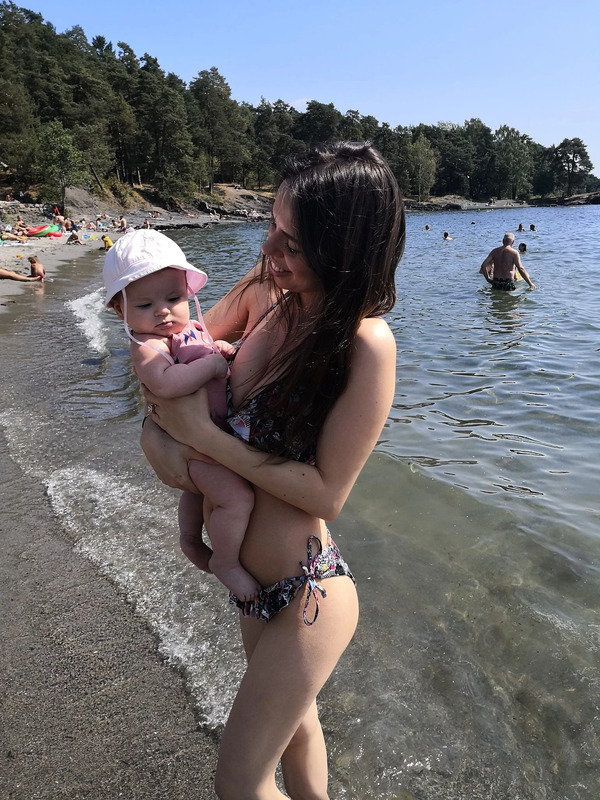 She loved dipping her toes in the water, I think soon it`s time to start swimming classes with her, she really enjoys being in the water. Here are some pictures that we took on the beach. 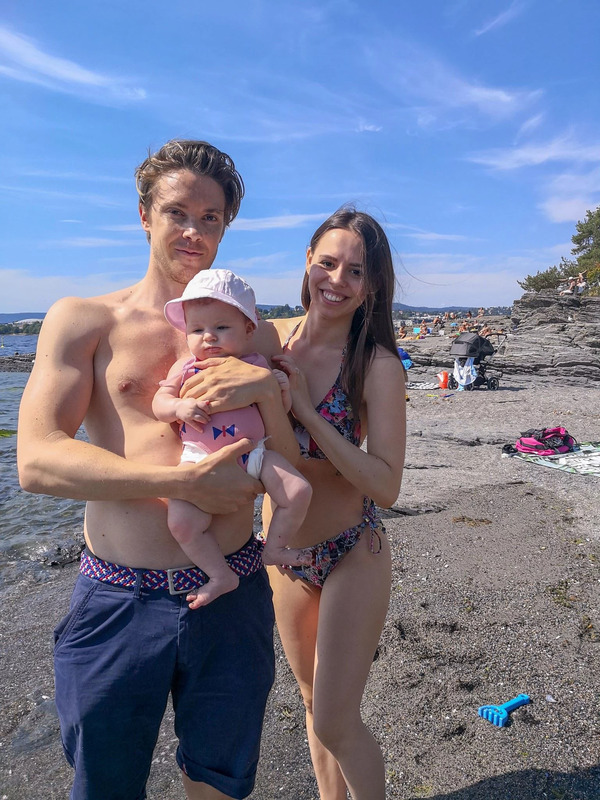 Venerdi` siamo andati in spiaggia ad Oslo per la prima volta con la piccola Vicky. Le e` piaciuto tantissimo pucciare i piedini nel mare, penso che sia ora di iniziare qualche corso di nuoto per neonati perche` lei adora l` acqua!.